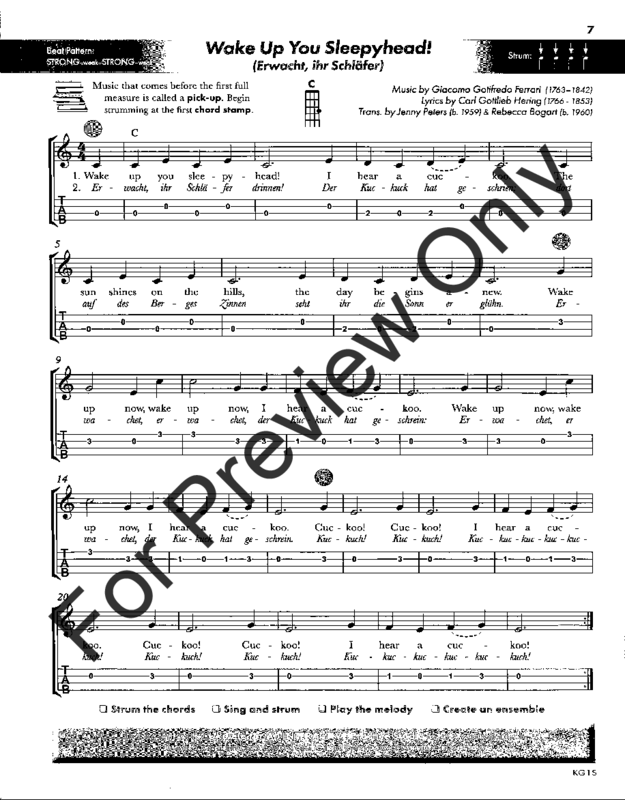 The ultimate beginning method for group or individual study of this popular, versatile, and accessible instrument. 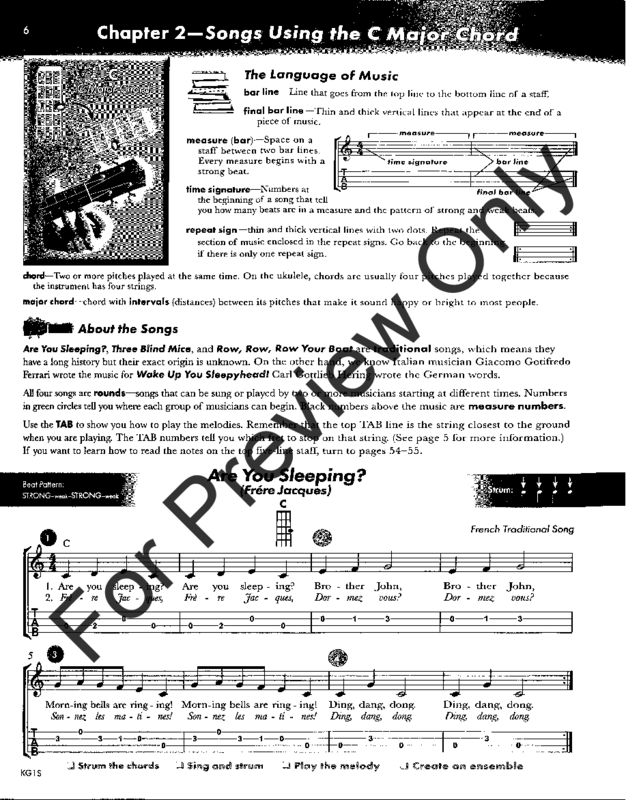 The unique UFA pedagogy begins with one-chord songs to give students instant success as they learn solo and ensemble skills. For today's digital learners, the Interactive Practice Studio - included free - offers multi-screen video lessons, play-along audio recordings and more for every song in the book. The teacher's guide is filled with effective solutions for establishing the ultimate learning environment. 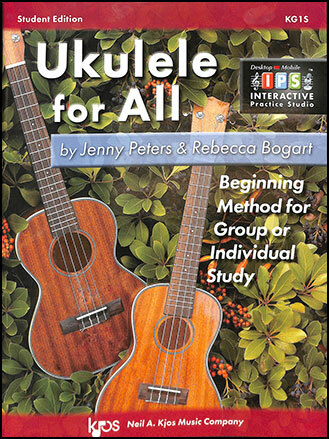 This richly informative volume gives educators everything they need to teach ukulele successfully. The teacher's guide also offers comprehensive guidance on achieving curricular alignment with the National Core Arts Standards and similar criteria.